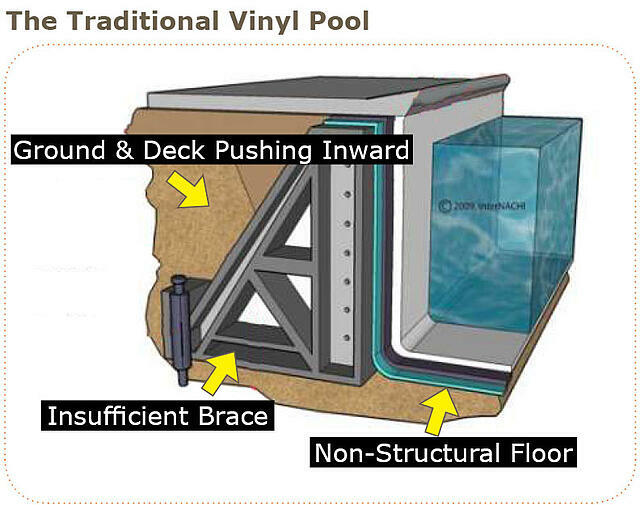 You have finally decided to pull the trigger on that new vinyl liner pool, great. 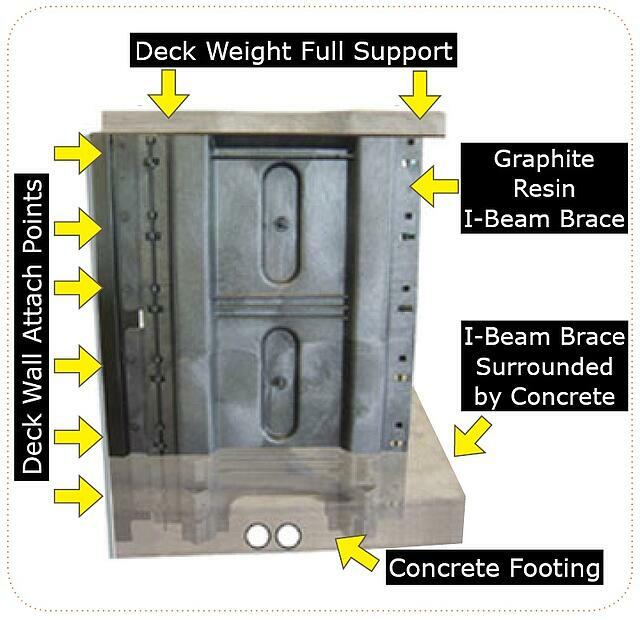 You have options between a steel or polymer pool wall, but even more important than that . . . have you given any thought to the braces that hold your walls up? 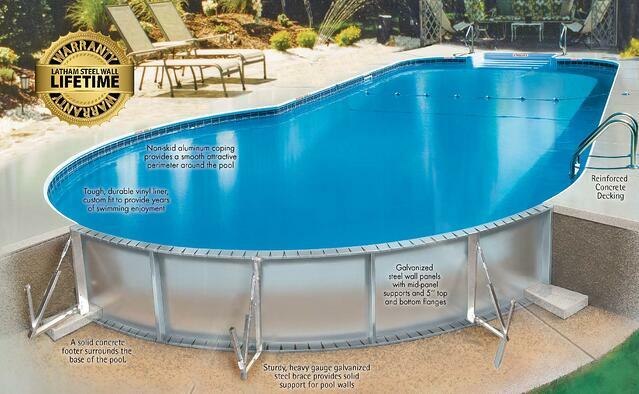 If not you better re-think what you know.Your pool walls are anchored in place by braces that come off the back of the wall.These braces need to hold and support all the weight of the backfill (dirt or stone) along with the flat work around the pools. Add in some water features, raised walls, waterfalls, grottos, etc . . . and you will be adding thousands of pounds of weight. All that weight is then pushing on the pool walls and the braces, why not relieve the pressure and weight? A better way to support your pool, flat work, and overall pool structure is to take the tons weight and pressure to concrete footings and virgin ground. 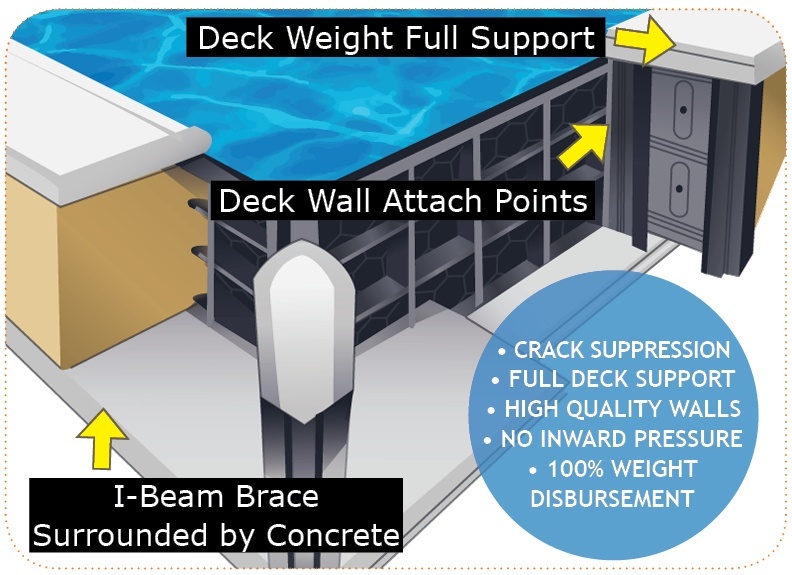 I-Beam Pool Brace is the only (and strongest) pool brace to take the entire live load and evenly distribute it over the entire support system from the braces right down to the concrete footings . . . just like in bridge construction. There are hundreds of pool contractors out there building pools, but make sure you get one that knows all the options. By putting in I-Beams pool braces around your pool, you are insuring that you pool will last for years to come and be just as sturdy as the day it was installed.